So, how does one – a writer/artist – stay connected to your muse? First, it must be clear to you in no uncertain terms that “this” is what you have been purposed to do: it is your gift. 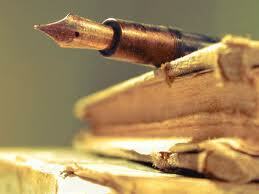 You know this because you find that the need to write is like needing air to breathe: you cannot be without it. The storyline or the voice of the character haunts you until you can’t take it anymore and you find something – anything – to write on. When it’s out of you, you find that you are exhaling. You also know it’s your gift when it seems to come to you without labor. In other words, it comes easy to you. Also, others see it in you – feel it in the words you’ve written on the page – because they will come to you and say, “I loved your story. It was like you were telling my life story” – or something along those lines. But it’s confirmation. Take it. Second, just because it’s your gift, does not mean necessarily that you just let it run its course. In other words, you must hone this gift called writing. When you are given a story to tell by your muse, it is not some whimsical decision on its part. It needs you for a specific reason, but it also needs to trust that you will deliver the story/message to the intended audience in a way that cannot be denied. So, practice the craft of writing and storytelling. Learn the basics of formulating outlines and dialogue structure. If grammar and mechanics are not your strong suit, connect with a professional who is and cover your weaknesses. Respect the gift. Finally, stay open-minded. Oftentimes, writers think they can only write about one thing – in one genre – and so when they are given a story by their muse, they tend to want to write it in only one way. No! Be open to test driving other vehicles. Don’t let fear stop you from going into uncharted territory. Again, connect with someone who can guide your story in that genre. I am a playwright, novelist, motivational speaker and essayist. My muse has me all over the place. But that is what makes me a strong writer and also helps me hone my craft – my gift. Note: This piece is also featured as part of Promotional Support Group’s, Inspirational Mondays, for aspiring and emerging writers on Facebook.